How Screenwriter David Koepp Would Save Spider-Man! "If I were in charge of Spider-Man right now, and money was no object, I would… (Pauses) Well, now you can see why they are having trouble! (Laughs) Not so easy, is it? "When I was doing Spider-Man the first time, I remember distinctly having thoughts about three movies, each of a different kind. The way the comic-book lines switched, it was Spider-Man, Amazing Spider-Man, Spectacular Spider-Man… there were a number of them. "So rather than try to pursue the same course, or any kind of similar tone, you’d have strikingly different tones. The classic Spider-Man, that would be the top-of-the-line, studio Sam Raimi ones, then the Amazing Spider-Man ones, they’d be done for $75-80 million, and have a rougher, edgier, almost R-rated feel to them – if not R-rated, though I don’t think they could ever bring themselves to do that. Tougher, nastier, a rougher look... shorter movies. I don’t like superhero bloat, personally. "And these series didn’t have to be consecutive, they could be released concurrently. Then I also thought there should be a Spectacular Spider-Man series, because Spider-Man leaves out a large group of its audience. Little kids are fascinated by Spider-Man by the time they are three, or younger. But when I was a kid, I loved the animated series, so I always thought there should be separate lines to cater for different ages of Spider-Man fans. "And I’d certainly develop other characters in the Spider-Man universe, which is what they are trying to do, I know. Black Cat deserves her own movie series. As for the superhero genre generally now, I am stunned at its viability, its quality, its longevity, and its ability to grow and deepen. I think they’re great. I was so continually wrong about where superhero movies were going that now I am just an audience member, thrilled to see them continue to improve." No Origins – Twice now we have seen Peter Parker being bitten and learning to use his new-found abilities. So for a reboot of the franchise I would start the first movie well into Peter Parker's career as a crime-fighter and vigilante, but before he has faced any super-villains, just as he gets the photographers job at the daily bugle. A Sinister Trilogy – With trilogies being very much the trend, especially with comic book adaptations, a Spider-Man reboot should be pre-planned as a trilogy, with two enemies appearing to challenge our hero per movie, with the final two; Norman Osborn and Dr. Otto Octavius being saved for the third movie, but behind the conspiracy of Peters missing parents, the other four enemies and much more. Essentially Parker would face the sinister six over the course of the trilogy. At the end of the third movie Parker could be seen leaving New York, re-enacting the infamous Spider-Man No More cell (pictured below). MCU integration – to help integrate a new, rebooted Spider-Man franchise into the MCU isn't really that hard. If Vulture was used as an enemy in the first or second movie, his wings could be likened to those used b Sam Wilson in Captain America: The Winter Soldier. Oscorp founder Norman could have been a former employee or partner of Howard Stark. Possible Expansion – Should these new movies be well received by the fans the series could easily be expanded simply by following the comic books. Eddie Brock could be introduced in the first movie, with Parker discovering the symbiote in the first movies post credits scene. Then Venom could be introduced as a villain in the sequel before being taken to Ravencroft for the movies post credit scene where he is placed in the cell next to Cletus Kasady, foreshadowing a Venom spin-off against Carnage. 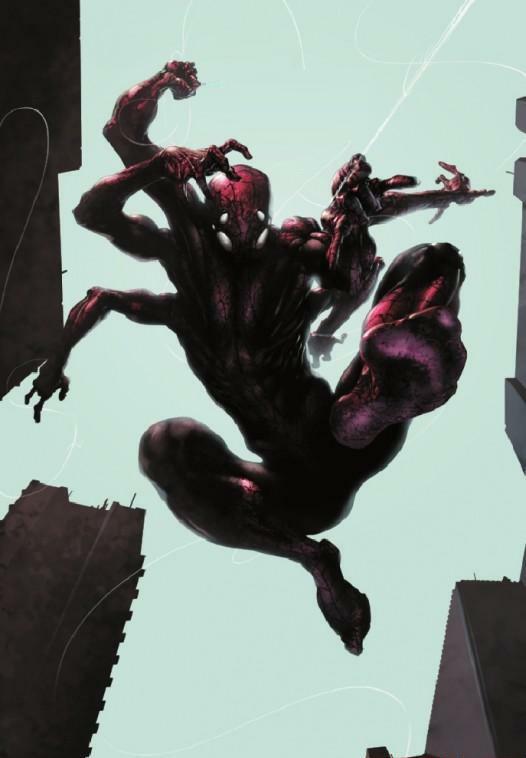 Another spin-off could come from Spider-Mans origins, revealed over the course of the trilogy, which would show the Spider that bit Parker biting its second victim, Cindy Moon; which could be used to start a darker, edgier Silk trilogy. The Venom and/or Silk spin-offs could help Marvel release a series of R-Rated MCU movies called Marvel Knights, featuring Punisher, Blade and other more mature heroes. Second Trilogy - More interesting could be a second trilogy, in which Parker returns home, but is played by a new actor, confusing Aunt May and MJ, but by the end of the first movie of this second trilogy the have come to accept this stranger as Peter. In the post credits scene a raspy voiced, hooded figure could be seen visiting Oscorp and handing over a vial of blood labelled Peter Parker. 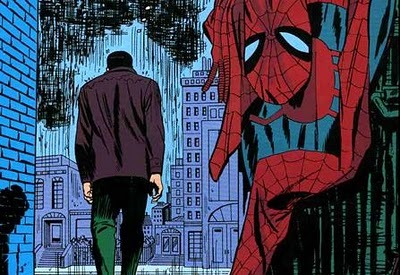 This figure, looking reminiscent to the comic book character Doppelgänger (pictured above) could stalk Aunt May and MJ before facing our new Parker in the sequel, escaping the battle when MJ makes an appearance, before returning for the third movie, knocking upon Aunt May's door as Peter Parker, the same actor from the first trilogy. Our new Peter Parker is in fact a clone Ben Reilly, thus making this second trilogy an adaptation of the Clone Saga storyline. 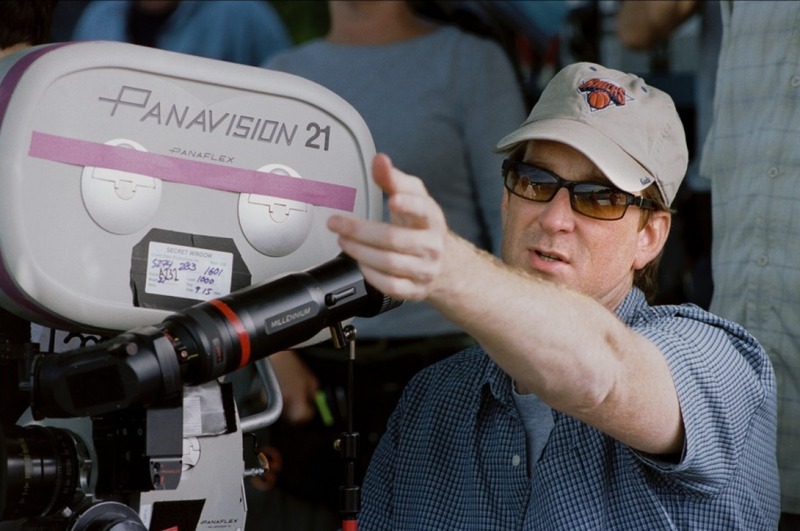 0 Fan responses to How Screenwriter David Koepp Would Save Spider-Man!